Well since the CSX re-signaling crews of doom finished running roughshod over the B&O CPLs in Baltimore they have no moved northward onto the Philly Sub where, once again, a previous re-signaling about 13 years ago should have saved at least some of the CPLs from extinction, but it seems that CSX is intent on leaving no interesting signal unsanitized. 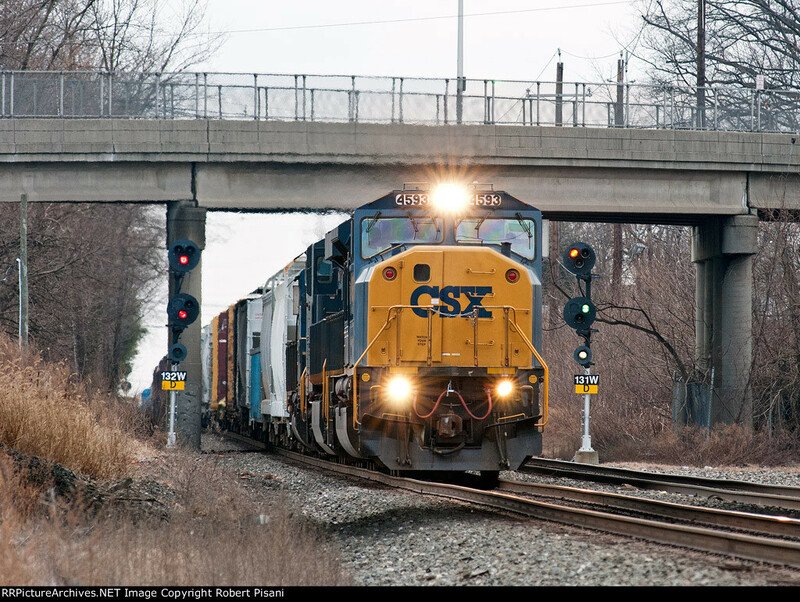 It was actually in the last round of re-signaling on the line that I even wrote a post on how CSX used to take the time and effort to leave the existing signal hardware in situ, but not any more as I guess Chinese manufacturing has made a throw away society much more practical. 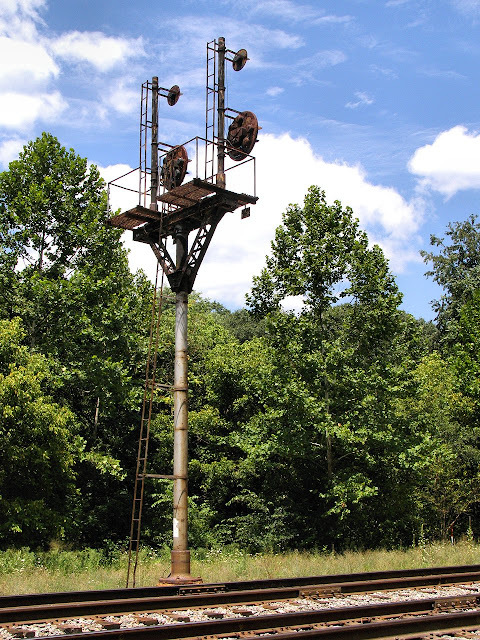 The project is currently most noticeable at Rossville where Darth Vaders are already in place to knock down a classic CPL bracket mast, but the spray paint and footings are in place all the way up the line to the Ankin siding on the east bank of the Susquehanna. Fortunately I have been able to put the documentation effort in high gear collecting photos from Rosedale autos, the Van Bibber siding and the intermediates in the Aberdeen area. Previously I had covered the Ankin and Singerly sidings so I actually have almost a full documentary record of the CPLs on this route. If you travel up and down I-95 it may be worth your time to take a short side trip and try to catch a train passing one of these vanishing beauties as massive derailments and explosions probably wont delay the work for long. In other news the long awaited Darth Vaders have made their appearance at Selma, NC where Amtrak's Carolinian turns off the A-Line and onto the Southern H-Line. 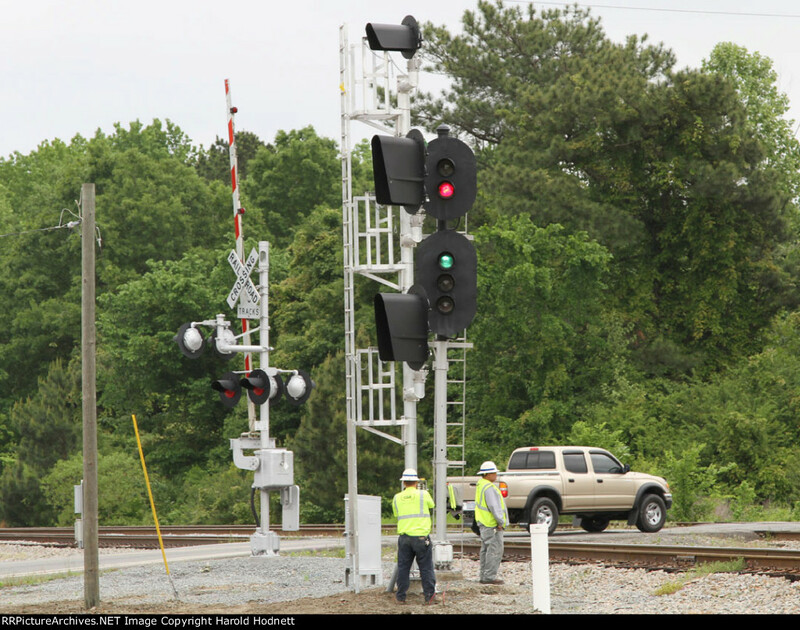 The A-Line has seen much re-signaling south of Rocky Mount with new bases present between there and Petersburg. I was unable to make my annual May survey of the line, but I have several sets of A-Line photos now and I hope to get at least one more come October. Over on the PRR main line the fall of PRR PL's is a drip, not a flood thanks to Conrail's 1990's re-signaling and NS's policy on preserving useful signals. 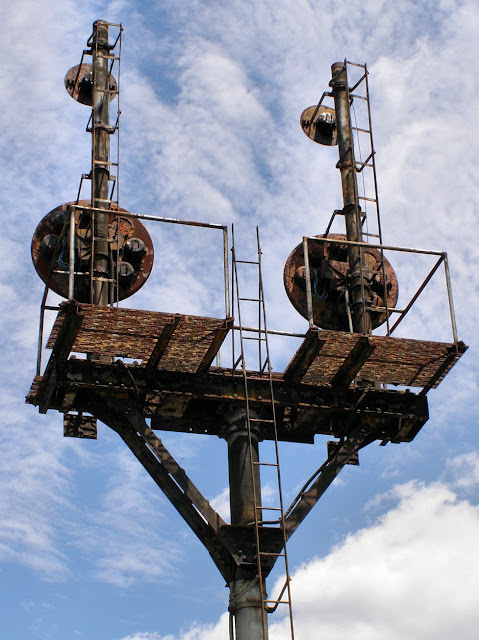 This time one of the iconic PL masts at CP-CONPIT are being replaced by a Vader mast. CP-CONPIT was already split between position and color lights with three of each, but it appears that something has gone wrong with the westbound track 1 mast necessitating its replacement. 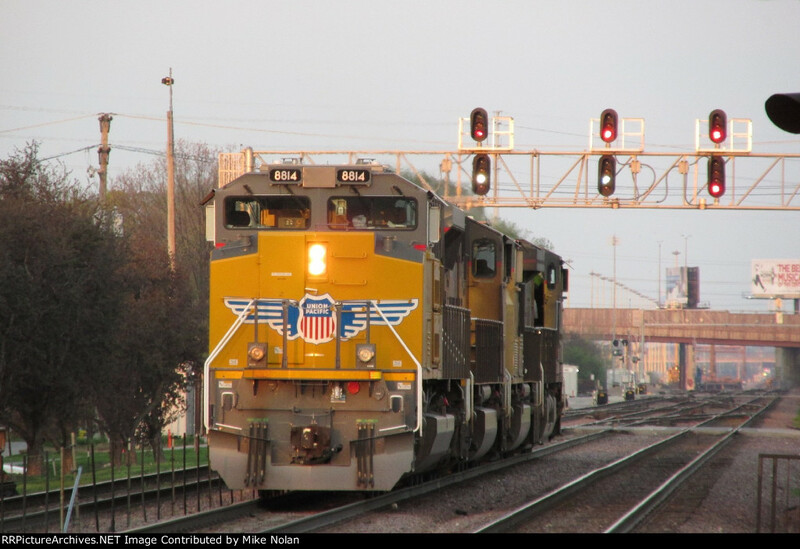 The real loss here is the Rule 562 'C' lamp that makes use of a PL-3 unit instead of a newer marker as were installed in the Conrail era. Those 'C' lamps probably date from the first PRR main line application of 562 operation on the Conemaugh Line. To end with a scrap of good news it looks like someone at Canadian Pacific failed to get the Darth Vader memo and is continuing to install their home brew brand of 21st Century searchlights. 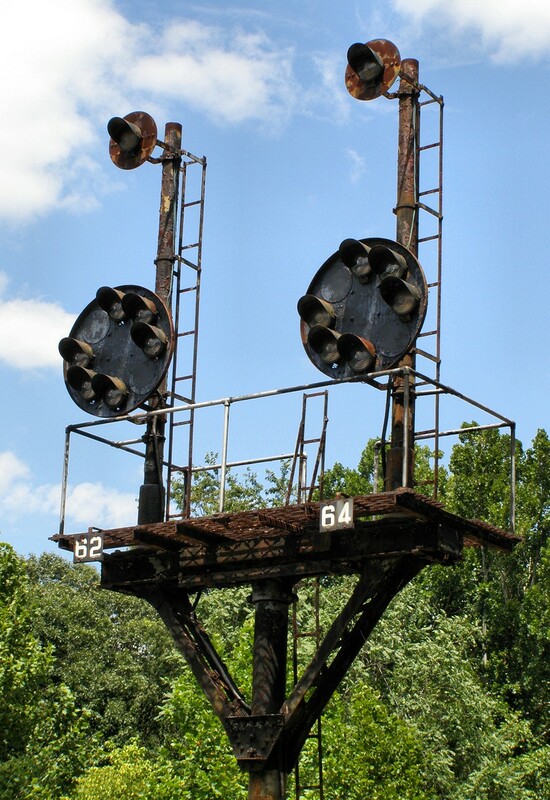 Bad news is its all the way in Canada instead of D&H territory where we still await word on if CP will emulate CSX or NS regarding the fate of their new-install searchlights masts at unresignaled interlockings. A summer before the major re-signaling project I took a road trip out along the B&O Main Line to see someone about a horse. On the way I made a series of stops to document some of the more remarkable (and accessible) signaling locations west of where HANCOCK Tower used to be in West Virginia (the Wales of the United States, only with more open mines). Two of these locations were on the famous B&O Magnolia Cutoff, which was constructed in 1914 to bypass the old alignment that followed several bends in the Potomac River as it weaved its way through a series of mountain ridges. The Cutoff consists of a series of 4 tunnels, two high bridges and a number of rocks cuts. Sometimes around 1957 the portion of the Main Line between Mexico and Hancock was outfitted with bi-directional signaling over three main tracks and CTC. 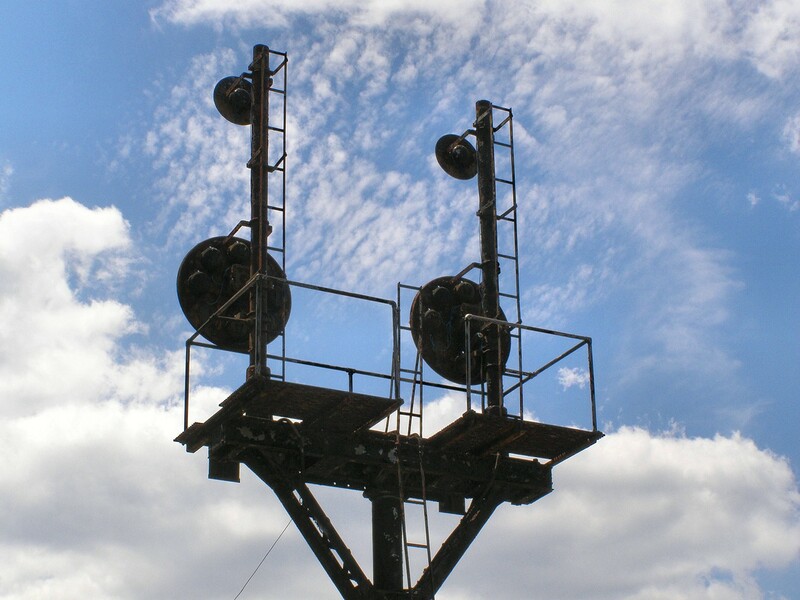 The three track portions retained wide signal gantries that were held over from the earlier days of 4 single direction tracks, but the Magnolia Cutoff was only two track wide so it was equipped with a bevy of CPL bracket masts that has become one of its signature trademarks. (The third track followed the old route before being completely abandoned). 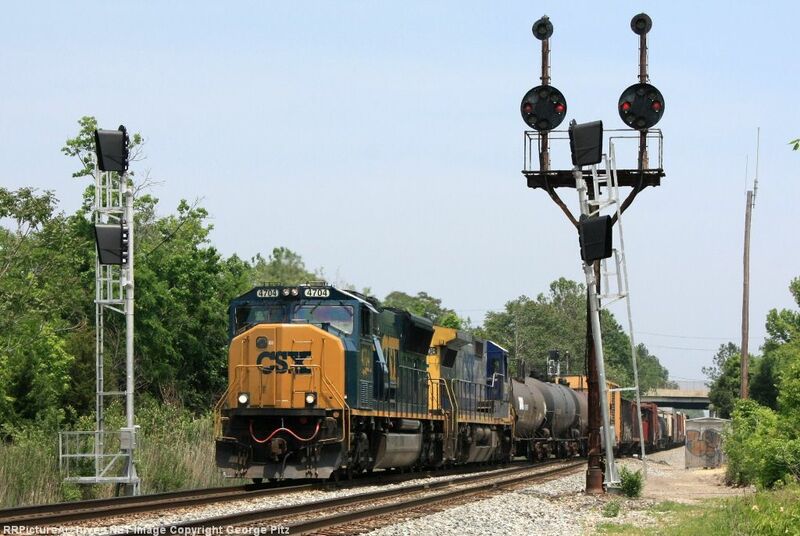 Anyway, I was able to visit the automatic CPL signal locations at Paw Paw and the eponymous Magnolia and this turned out to be an inspired move on my part as fast forward 9 months and CSX is preparing a re-signaling effort in the area that will see the elimination of many if not all of the CPLs on the cutoff. This is a real shame as the two bracket masts at Magnolia are one of the most iconic railfan locations on the B&O main line, often being compared to the PRR's horseshoe curve (which ironically lost its classic signals in 2010) and a photo of them adorns the top of the Wikipedia page on North American railroad signaling. What makes the Magnolia signals special isn't so much anything about the signals themselves, but their surroundings, specifically the bridge-tunnel-bridge combination where the B&O main crosses the Potomac river, punches through an imposing ridgeline via the Graham tunnel, then crosses the Potomac again. Of course the Achilles Heel of the classic B&O signaling on this route can be seen in this photo where we can see a thick bundle of wired heading out of the relay cabinets, over to the line of wooden telephone poles and then way in the distance is the scar of cut trees where this same pole line travels up and over the mountain. Multiply this across all 4 tunnels plus the intervening track mileage and you can see how this can become a maintenance nightmare not only keeping the pole line in a state of good repair, but actually getting people out to the location to do the job in the first place. 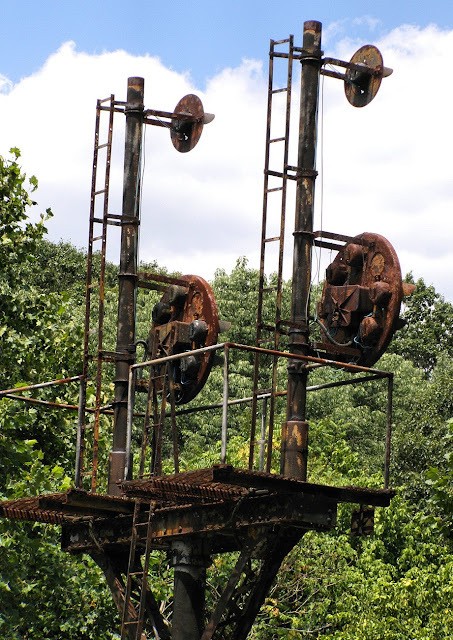 So anyway while I had numerous photos of the Magnolia signals taken from the rear of passing Amtrak trains, I had never actually ventured out to see them up close. On this trip I sought to change that and I will share my findings here, but I should mention that the actual signals at Magnolia are not very special consisting of a pair of opposing CPL brackets with a pair of 3 aspect automatic block signals on each. Therefore I will try to focus on the humble pole lines that power the signals on their daily routine. Here we see the CPL brackets facing east. They are approach lit and therefore dark as no trains went by during my visit. 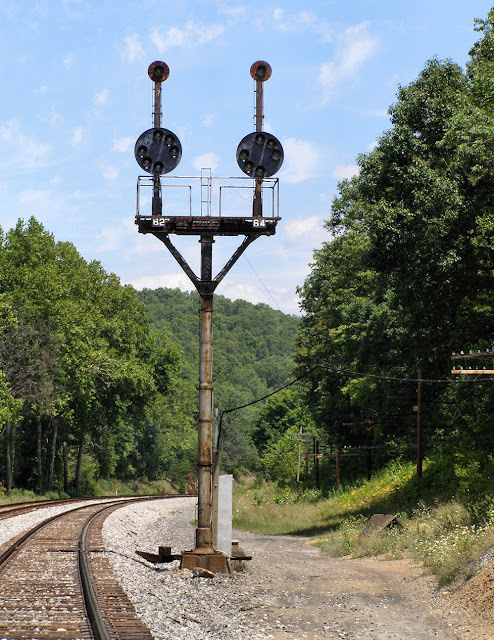 While located at milepost 145 they are plated as milepost 6.3 due to the cuttoff getting its own numbering system separate from the signals on the original alignment. 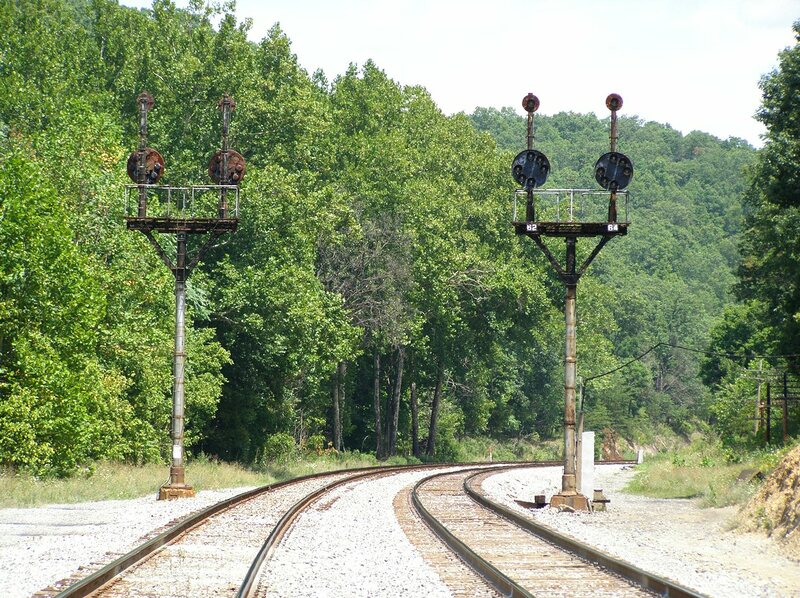 When the old main line was abandoned no need was found to replate the cutoff signals. The signals are simple 3 aspect ABS types able to display Clear, Approach and Restricted Proceed. The 12 o'clock orbital is illuminated for all three aspects, but when originally installed the orbital would darken if the flow of traffic was set opposing to the signal thus enabling a 4th, absolute Stop aspect. However updated signals rules have overridden this extra level of safety and the numberplate overrides the dark orbital making the signal a Restricted proceed even when traffic is set against it. (The absolute signal of the last interlocking can be assumed to provide protections against two trains meeting head on). To say these signals would need a coat of pain would be an understatement and given the upcoming re-signaling it is doubtful they will ever receive it. The westbound signals show an equal amount of corrosion, but at some point they got some new wiring as evidenced by the somewhat fresher blue insulation snaking about. The junction boxes on the rear of the westbound CPLs are of the original large, fluted type. 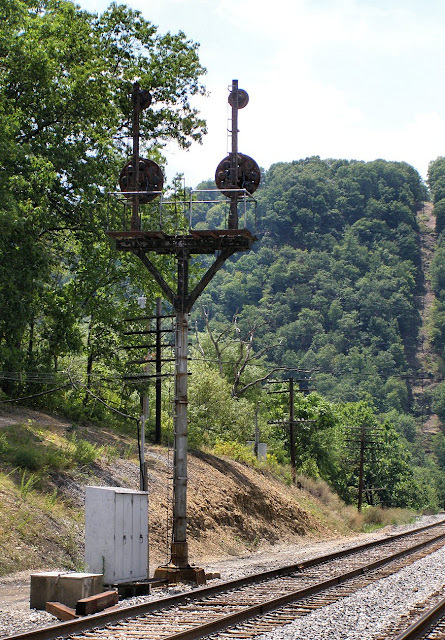 The eastbound signals newer compact versions made by GRS and were possibly installed with the CTC project. Below view of the westbound bracket showing the steel mesh the maintainer stands on to service the signal heads. Both brackets were originally painted with a silver base and a black top to aid in providing contrast for the signal lamps and visibility for the signal post itself. Eastbound signals are numbered 62 and 64, westbound 61 and 63. Other reasons old style bracket masts such as these are tagged for replacement are the lack of "OHSA compliance" for the ladders and handholds used by the signal maintainers. Bracket masts must be tall enough to be visible over trains on intervening tracks so its a pretty long climb up a very narrow ladder. Looking at the rear of the eastbound bracket we see the battery box for backup power, the relay cabinets and the bracket mast. Due to my web hosting flaking in and out I compiled another short list of top notch signaling photos I collected over the last few months. Click the images and give the photographers some love. 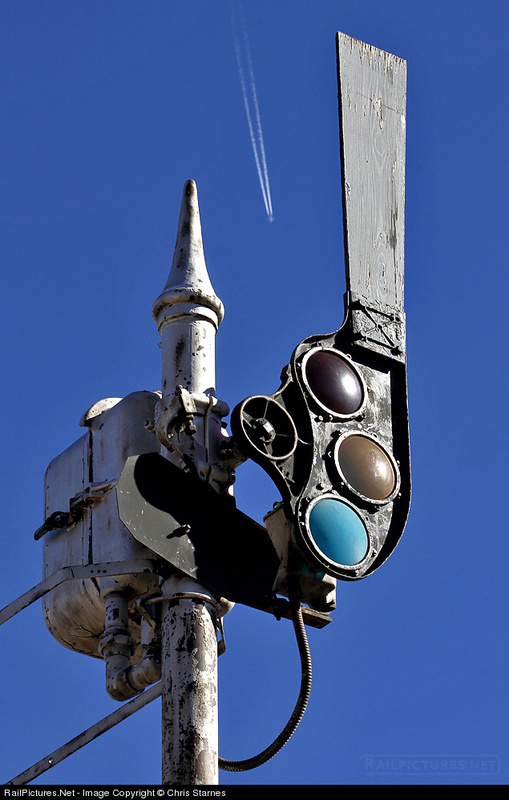 First up is an elderly US&S Model T-2 semaphore signal hanging on out in New Mexico on Amtrak's Southwest Chief route. Normally I would be in the plane flying over, but come June I'll be out on another cross country Amtrak run. 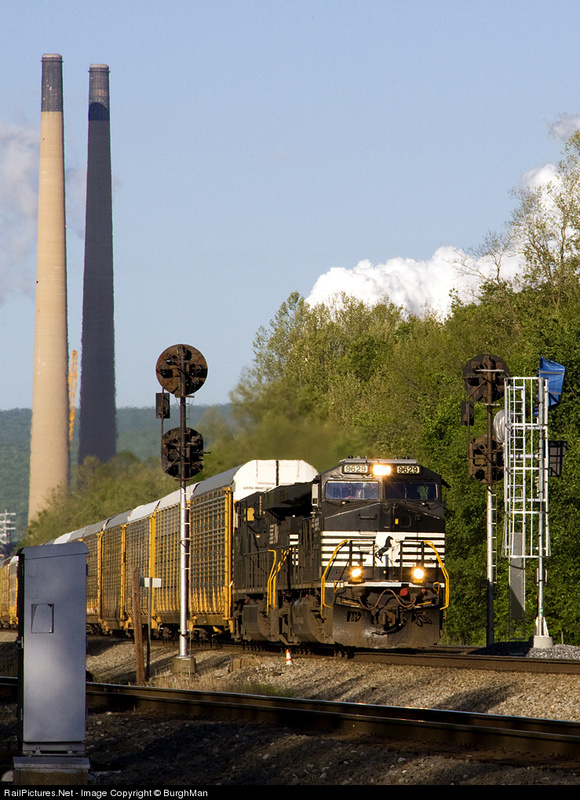 Because they are worked from towers and CTC consoles point heaters count as part of the signaling system. 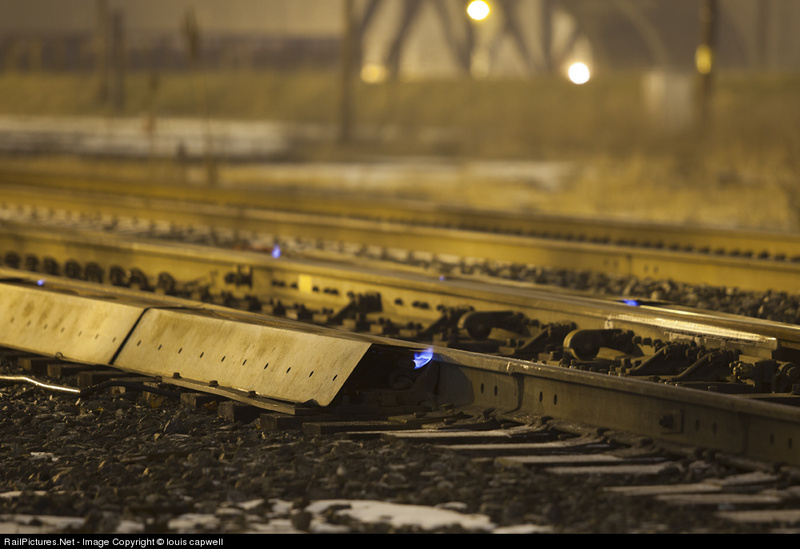 These former Conrail direct burner units were spotted at CP-BETHLEHEM during one of their brief outings during the 2013 season. In areas of heavy snow duct type forced air units predominate, but Conrail always made due with the burner type. Speed signaling systems tend to get a little hot under the collar when they have a legitimate need to display route information. One such location is the Conrail Lehigh Line where it is used by NJT Raritan Valley Line passenger trains. Gauntlet tracks and a ramp down to the NJT Raritan Line are decidedly freight unfriendly so lunar white marker lights are provided when routes are lined for passenger trains. Net style gantry of target type color light signals on the Amtrak Shore Line at Old Saybrook doing the Christmas tree thing as a train passes under it. Even traffic light signals were cool back in the day. 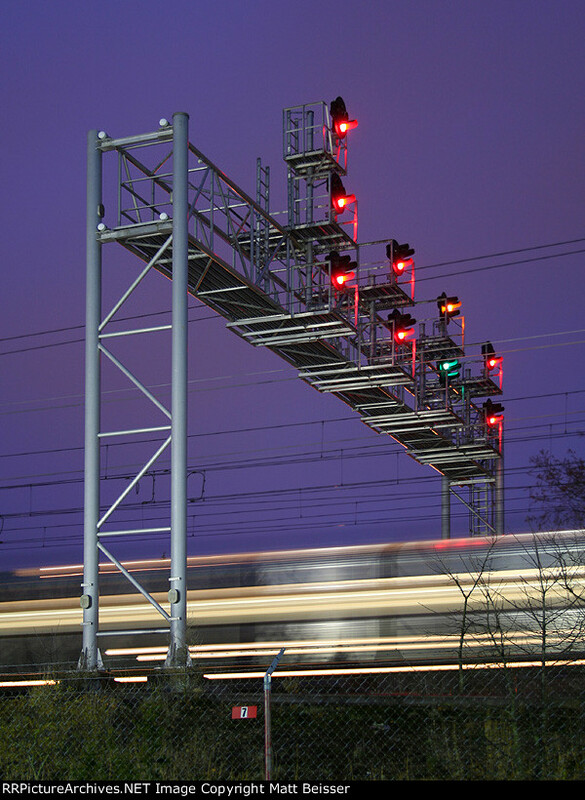 Here we see a full two track cantilever on the former Southern main line with an Approach and Approach Diverging displayed in the same direction and a full moon providing a large Restricting indication in the sky. Twin Restricting indications on the eastbound signal bridge on the former CNW "UP West" main line heading into Proviso Yard. 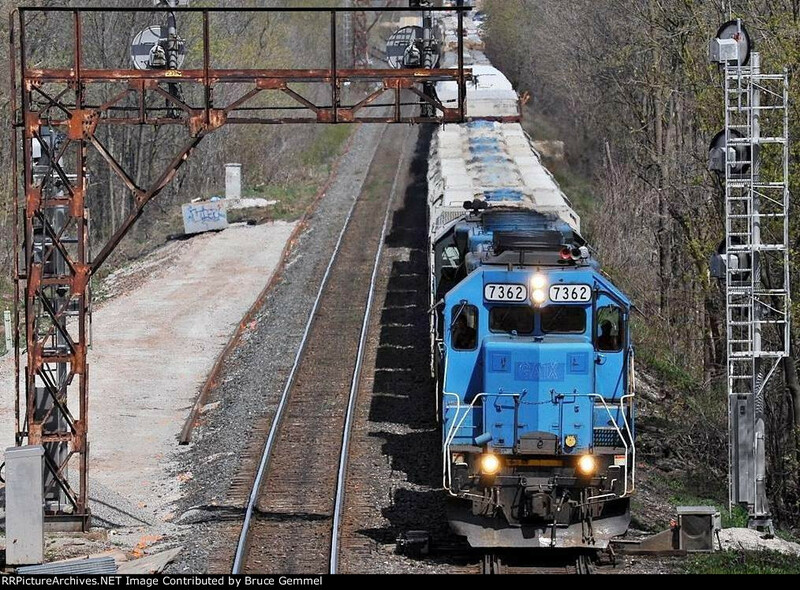 This was the previous eastern limit of the innovating CNW cab signaling without wayside system in service between here and JD tower in West Chicago. The two aspect system used a time based speed control to slow trains from normal speed to 40mph and then restricted speed if the cab signal did not improve back to Clear. The CNW ran trains left handed which explains why the displayed signals are on the "wrong" side of the gantry.